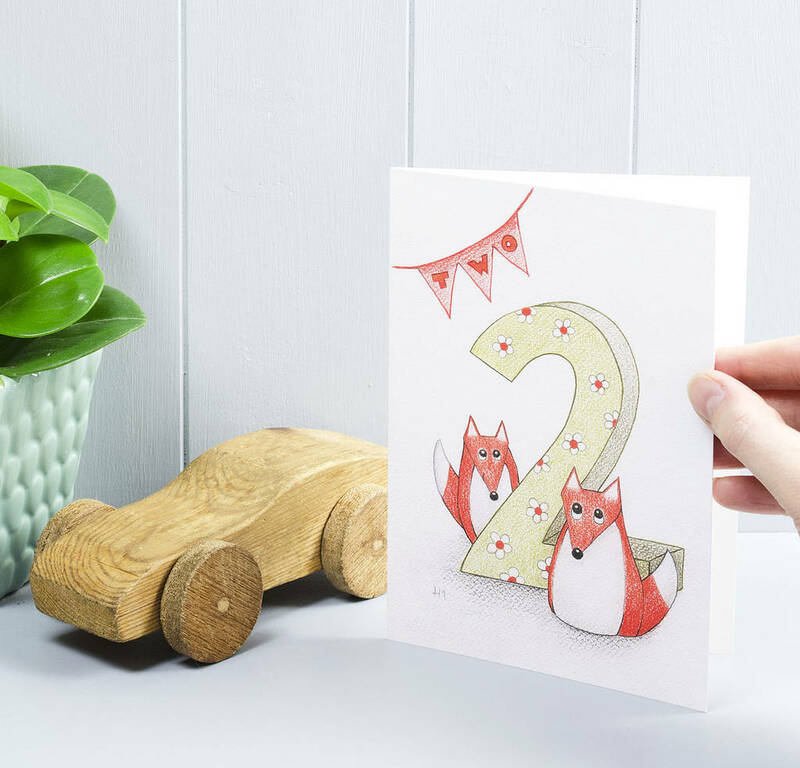 This cute fox greeting card is great to celebrate a little one's happy 2nd birthday. The greeting card would suit both a little baby girl or baby boy to celebrate their second birthday. 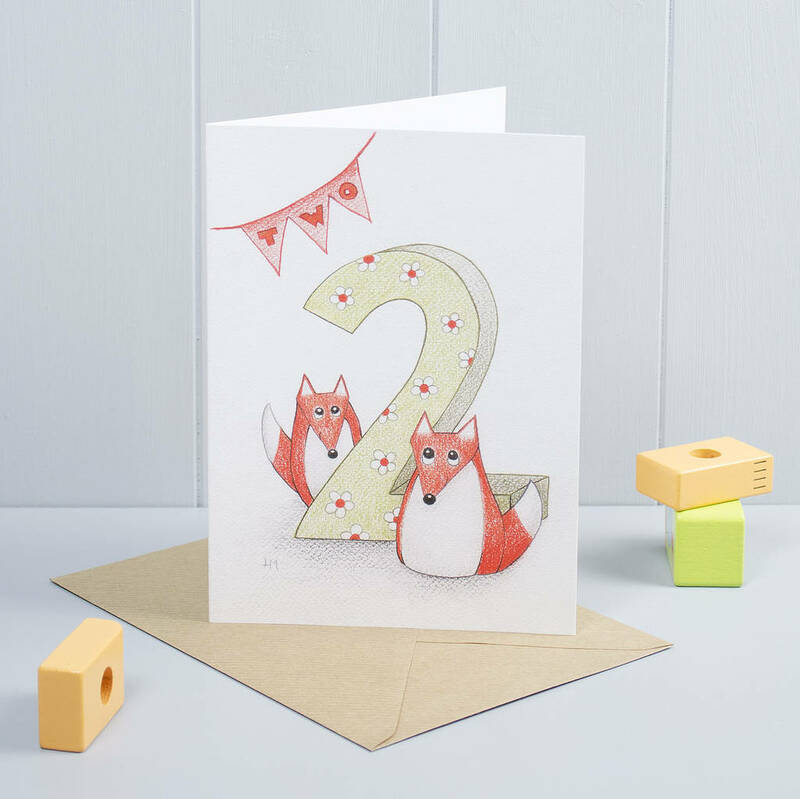 The foxes in the card are based on our Bilberry Woods character Findlay The Fox and the greeting card is a reproduction of a colour pencil drawing by us. PLEASE NOTE: colours in the card can be slightly different than what you see on your computer screen.